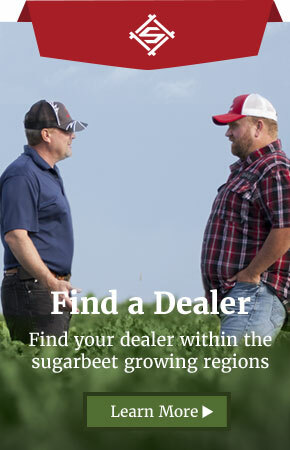 Rhizomania Disease - Seedex, Inc.
For years, the sugarbeet crop has been a fundamental source of income for the sugar industry and its farmers. Advances in breeding continue to give the crop a competitive position. The successful development of the crop has been marked by continuous yield increases, contributions to cost savings operations and increased tolerance against the devastating effects of pests and diseases. One major achievement of plant breeding in sugarbeets has been the development of varieties tolerant to Rhizomania, a viral disease caused by Beet Necrotic Yellow Vein Virus (BNYVV). This root disease is transmitted to sugarbeet plants by a soil-born parasite called Polymyxa betae. Since the 1970s, this disease has spread rapidly all over the sugarbeet growing world. Seedex, Inc. has been a major contributor working to manage the disease. Still, constant evolution of the this disease means a new pathotype is emerging. It has the potential to create severe and devastating problems in commercial varieties, even those equipped with current genetic resistances. The onset of this new pathotype requires a new breed of resistant genetics. Thankfully, the research of Seedex, Inc. offers a solution. Seedex, Inc. is proud to present Tandem Technology®, a first generation resistance against Rhizomania and other crop diseases. Disease management faces more challenges than just the mutation and evolution of crop parasites and disease. A dynamic and often tumultuous political, economical and biological environment may shape the way in which all diseases are managed. However, plant breeding continues to provide high benefits to farmers with a low impact on the local ecology. Rhizomania (RZM) is one of the most widespread sugarbeet diseases. Greek for “crazy root”, Rhizomania is characterized by a proliferation of lateral rootlets along the main tap root. The disease is caused by the Beet Necrotic Yellow Vein Virus (BNYVV) and is transmitted to the sugarbeet by an intermediary root parasite called Polymyxa betae, a protist living in the soil. The disease typically attacks the plant in June during the crop canopy phase. The affected sugarbeet will lose sugar content and increase tare in the field when harvested. Rhizomania was first reported in the United States in the state of California in 1983. However, the widespread accounts of its devastation that same year suggest that the disease had come to the United States much earlier. Since the first report, Rhizomania has been identified in most domestic sugarbeet production areas. 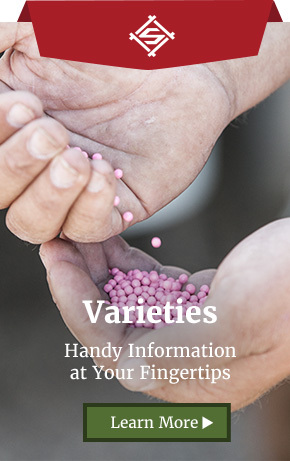 Over the last few decades, plant breeders have worked tirelessly to improve the availability and quality of varieties resistant to Rhizomania. Rhizomania is found in all regions of the world where sugarbeets are grown. Domestically, most counties are affected by the disease. Generally speaking, it has become fairly difficult to find estimates of the distribution of Rhizomania or the percentage of the area contaminated in these counties for two reasons. First, the disease is considered to have been present in nearly all sugarbeet producing regions and second, the use of resistant varieties has become essentially a standard procedure. Many specialists believe climate change will cause a more rapid propagation of Rhizomania. In recent years, unseasonably wet conditions and a reluctance by farmers to discontinue the use of susceptible varieties has resulted in a seven fold increase in inoculum build-up of Rhizomania compared to regions where more disease-resistant varieties were used. Transmission of the virus occurs through the root parasite, Polymyxa betae, a protist that dwells in the soil. It survives in the form of sporosores – masses of highly resistant, dormant spores. In harsh conditions, the Polymyxa betae/BNYVV complex can remain dormant and maintain its infectious potential in the soil for decades. When the temperature of the soil becomes favorable, 59 degrees to 77 degrees Fahrenheit, and has a high moisture content, the dormant spores germinate and produce primary zoospores. Attracted by secretions from the rootlets of the host plant, they swim through water in the soil, propelled by their flagellum. When the zoospores reach the outer surface of the rootlets, they hook onto it and discharge their cellular contents inside the plant’s cells. This union results in the formation of plurinucleated cytoplasmic mass more commonly referred to as plasmodium. This is important because when the zoospores release their own cellular contents into the root, they also release the virus. After the incubation period in the plant cells, the Polymyxa betae plasmodium begins to evolve in one of two ways depending on the climactic conditions. If conditions are unfavorable, cold and dry, the parasite will form survival units (the cystospore). If conditions are favorable, warm and wet, the parasite will multiply and colonize new host cells. Regardless of condition, each new spore will contain the Rhizomania virus, Beet Necropic Yellow Vein Virus (BNYVV). Polymyxa betae spores can be dispersed by water (rain, run-off, irrigation, etc) or by soil (wind, farming equipment, sugarbeet transportation, etc). The transplant of soil from machinery is the most likely cause of dispersal because it relocates both active and dormant spores. a neutral to alkaline soil pH. The increase in fertilizer prices has resulted in an increase in the use of composted green waste, which often has very high pH levels. High application rates on low fertility soils may exacerbate the infection. The Polymyxa betae/BNYVV complex generally feeds on plants belonging to the chenopoiacea family (sugarbeet, chenopodium, spinach) and amaranth family. Random development of dense, dark root hair. These rootlets eventually dry up and turn from white to brown. As a result, new roots are continuously forming. This simultaneous growth and discoloration has been called a “salt and pepper beard” in some parts of the country. Rhizomania symptoms are fairly easy to detect. Symptoms generally appear in the leaves. Inspection of the roots will confirm or rule out the diagnosis. The following list highlights some other afflictions that share similar symptoms to Rhizomania. Wilting Leaves – This is the result of poor water intake. Deficient water intake can be caused by a variety of things such as other diseases, pests, water stress, etc. Yellowed Foliage – Often times, the yellowing of leaves translates to a lack of nitrogen. However, sometimes yellowing can occur through viruses transmitted by aphids. If this is the case, leaves will become hard and brittle. Irregular Root Hairs – The proliferation of root hairs can also be caused by a severe outbreak of nematodes. The outbreak is characterized by white cysts. The absence of cysts most likely means the plant is infected with Rhizomania. Perpendicular Lateral Roots – The appearance of these roots is due to poor soil structure or an attack by the soil fungus, Aphanomyces cochliodes. The severity of the economic impact depends on a combination of things such as the variety of sugarbeet, the amount of Polymyxa betae in the soil, the strain of BNYVV, climactic conditions and the period of infection. The following crop loss and subsequent revenue loss is common for moderate to severe cases. No authorized chemical treatments for Rhizomania exist. The only effective way to control it is by using a seed variety with resistant genetics. Resistant varieties help to inhibit the spread of the virus across the field. Reduce humidity in the soil through sufficient drainage, maintenance/improvement of the soil structure, sparse irrigation limited to as much as 70% of the sugar beet crop’s requirements. Avoid soil movement. Harvest in dry conditions. Extending rotation is advised but will only have a limited effect on the infectious potential due to the durability of the Polymyxa betae/BNYVV complex — it can remain dormant for decades. To date, the ‘Holly’ gene serves as the main source of resistance. This dominant gene makes the work of plant breeders easier. However, there is concern that new strains of the virus will overtake the dominant gene. Viral evolution such as this is well documented. These new strains are beginning to cause serious outbreaks in California, southern Minnesota and Idaho due to the strain’s aggressive mutations and the areas’ favorable growing conditions. 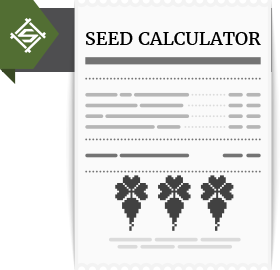 To counteract this risk, Seedex has partnered with SESVanderHave to provide better Rhizomania-resistant varieties based on Tandem Technology. This genetic technology provides two sources of genetic resistance. It pairs a new source of resistance proprietary to SESVanderHave with the Holly gene (the resistant source that all US sugarbeet seed companies currently use). Tandem Technology provides unparalleled resistance even under extreme Rhizomania pressure.